Hair loss can be a scary subject. On average, you lose between 100-150 strands per day, but sometimes it seems like there’s a whole lot more tangled in your hairbrush, and you’re convinced that your shedding has reached another level. Not to freak you out or anything, but honestly, you might be. While the amount of hair lost and the length of time you’re shedding is very important to note, losing hair doesn’t always mean something abnormal or incredibly concerning is happening to you. Whether it’s due to a hormonal shift or even a change in the weather, it can be a very common side effect. 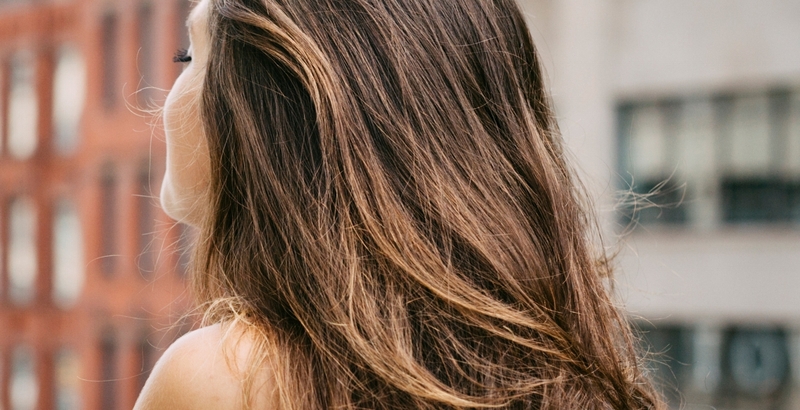 Here, we chatted with two pros to get the scoop on when hair loss usually comes into play. According to Suneel Chilukuri, M.D. ; Cosmetic Dermatologist and Founder of Refresh Dermatology in Houston, Texas, hair loss can result from emotional stressors like a change of job, moving, or going through a divorce, as well as physical "total body" stressors like trauma or a car accident. "Unfortunately, both emotional and physical stressors can cause the hair to enter the resting (catagen) and subsequently the falling out (telogen) phase," he explains. "If the stress is gradual and prolonged, the result of hair loss is usually seen approximately 6 months after the major stress." However, in those "total body" situations, he says hair can be "shocked" into entering the fallout out phase. "This condition is called telogen effluvium which manifests with hair 'falling out in clumps' within days to weeks of the stressor." When it comes to stress-related hair loss, Chilukuri suggests applying éprouvage Reviving Scalp Serum . "It contains Redensyl, which keeps the hair in the anagen (growth) phase longer,” he says. "This particular ingredient has been proven effective in clinical studies for both the hair, eyebrows, and eyelashes. In addition, this product contains Egyptian blue lily active plant cells which neutralize free radicals, thereby preventing the oxidative stresses from air pollution and sun which normally weaken the hair follicle." Hair can go through quite the transformation during and post-pregnancy. "During pregnancy, women have an increase in hormones that provide a rich environment for growing a new being," notes Michelle Blaisure, Bosley Professional Strength Certified Trichologist and Product and Technical Specialist. "These same hormones often keep hair actively growing longer than normal with many women noticing a thicker more luxurious head of hair during pregnancy. Once they give birth this level of hormones declines, leading to a sudden, excessive shedding of hair for several months." However, Blaisure says this often self-corrects. Convinced your hair is thicker in the winter than it is in July? You might not be wrong. Blaisure says that you have more hair growth from January to February and less growth (plus more shedding) in the summer months of August and September. From an evolutionary perspective, she says this makes sense because you'd need less hair in the summer to stay warm. "Daylight plays a role as signals are transmitted to the follicle via the hypothalamus due to exposure to longer hours of sunlight—communicating that there is less need for hair growth during this time," she adds. Wrinkles and fine lines might start to pop up around your mid to late 30s, and that's the same time your hair begins to age, according to Blaisure. "Studies show that slowly the hair density and diameter changes with age with about 50 percent of women having noticeable loss by age 50!" Your diet can directly affect the growth of your hair. For example, Blaisure explains that when carbs are greatly reduced for prolonged periods of time, more shedding is typically seen. Sticking to a well-balance, nutrient-rich, and healthy diet, as will caring for your hair with proper products and limiting stress from heat styling and coloring can help. She recommends Bosley Professional Strength Healthy Hair Vitality Supplements to ensure you're getting the necessary balance for healthy hair. While these situations are common, you should always consult with your doctor if you have any concerns over the amount of hair you're losing or your current health. This article was written by Victoria Moorhouse from InStyle and was legally licensed through the NewsCred publisher network. It is not endorsed or sponsored by John Frieda. Please direct all licensing questions to legal@newscred.com.